China’s very own winter-wonderland Heilongjiang, literally meaning “Black Dragon River,” boasts some of my favorite scenery in all of China. 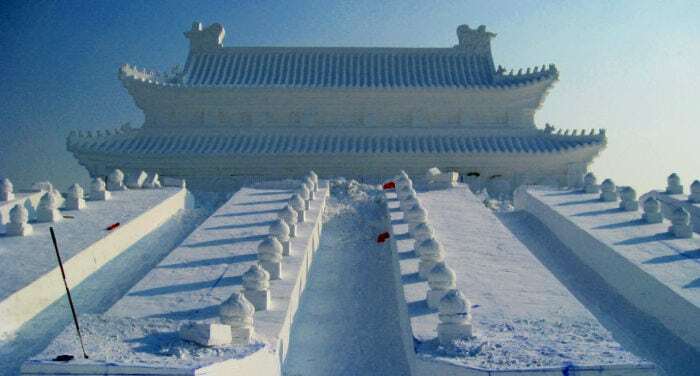 If you’re a fan of the cold and appreciate the beauty that snow adds to a landscape, then Heilongjiang is the place for you. The fastest and easiest way to reach Heilongjiang is by plane. Flights to Harbin Taiping International Airport (HRB) are available from both Beijing and Shanghai. The flight from Beijing to Harbin takes approximately 2-3 hours and the flight from Shanghai to Harbin takes approximately 2 hours. 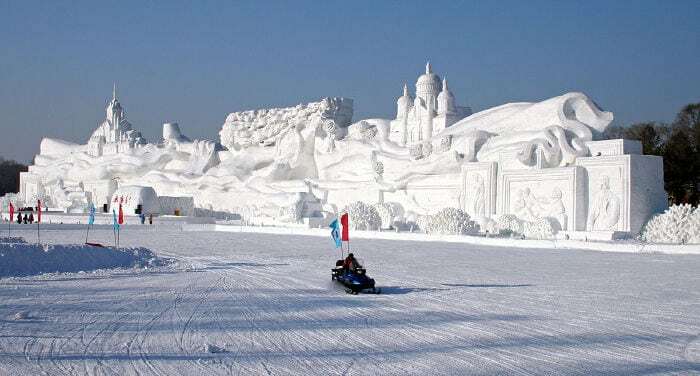 Choosing a good hotel in Harbin, known for its Ice and Snow Sculpture Festival, can be a difficult task due to the large number of hotels that exist and because in Harbin, many of the hotels are of doubtful quality. 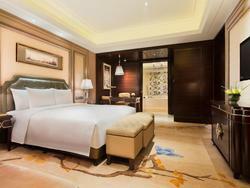 In this article, you will find a review of the best hotels in Harbin, whatever your budget may be. Harbin Wanda Realm Hotel is a luxury hotel offering fully serviced spa, two restaurants and a bar, indoor pool, health club and 345 well-equipped guestrooms. Located in the Harbin city center, the hotel provides convenient way in to famous attractions like Heilongjiang Provincial Museum Long Ta,Saint Sophia Church, and Harbin Amusement Park, all within 6 km from the hotel. The hotel also provides childcare or baby-sitting services along with airport shuttle and free parking. All the guest rooms and public areas have free Wi-Fi. The staff speaks English and the hotel also provides car hire services. Winter has already arrived in China, and it’s probably the worst time to come here. If you go to Beijing the gelid and ultra dry Siberian wind will destroy your beautiful skin. Shanghai isn’t better as the humidity will get inside your bones and you’ll be unable to get rid of it for weeks. If you’re coming to China at this time your best option is head to the south, especially to Yunnan and its permanent spring. However, today I want to talk about a different option for winter travelers: I’m talking about Harbin, the most famous city in northeast China (Dongbei, here you find our article on Dongbei’s food).